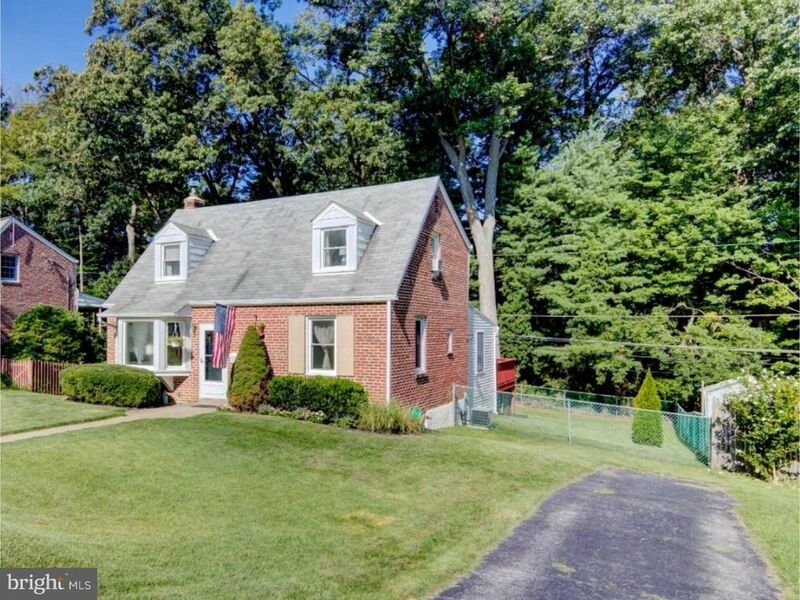 You'll love entertaining and relaxing in the expansive Family Room addition of this 3 BD, 1/1 BA brick Cape Cod-style home. It offers soaring ceiling heights, recessed lights, and walls of windows with great views of the rear yard. A charming new Craftsman-style front door leads to the sunny Living Room with neutral walls, hardwood floors, and a bay window. The updated Kitchen has a breakfast bar and open views of the Dining Room. The 3rd Bedroom, which could also be used as a Playroom or Office, is located on the first floor and has a Powder Room. Upstairs are 2 more large Bedrooms (one with an extra deep walk-in closet) and an updated white Hall Bathroom. The Basement is partially finished with a Recreation area, Laundry area, and space for storage & mechanicals. Sliding glass doors lead to the large 14' x 22' rear deck which is ideal for outdoor entertaining. The deep rear yard is fully fenced and has serene views and a Storage Shed. A private driveway offers ample space for parking. Neutral d~cor, carpets, and wood floors. Nestled in the heart of the neighborhood and far from busy roads, this home is convenient to schools, shopping centers, parks, Blue Rte., Center City, & Airport.